THOUSAND OAKS, Calif. -- The Los Angeles Rams decided not to practice outdoors due to poor air quality around their training complex in Ventura County, where a wildfire has burned more than 100 square miles. The Rams' complex is about 25 miles from the blaze, but the resulting smoke caused enough problems in air quality Wednesday to persuade the Rams to skip practice in favor of a walk-through indoors at nearby Cal Lutheran University. Coach Sean McVay says if the air quality is still poor Thursday, the Rams will practice at the University of Southern California in downtown Los Angeles. 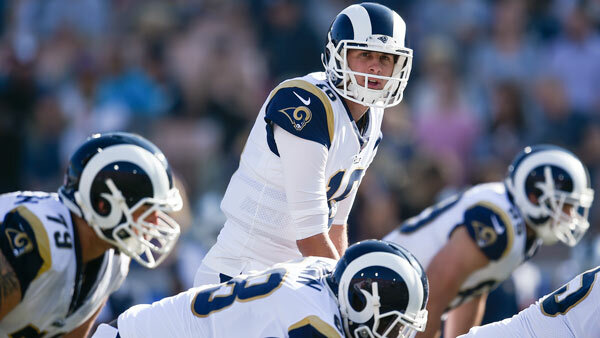 The Rams (9-3) are preparing for an important showdown Sunday with the Philadelphia Eagles (10-2) at the Coliseum. The fires aren't expected to affect the game.